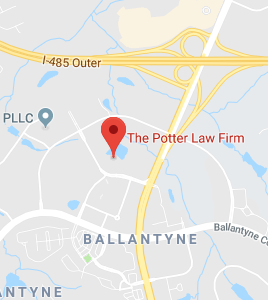 As you can see from our website, the attorneys at The Potter Law Firm are highly committed to educating their clients and the residents of Covington, as well as the state of Kentucky. We offer a comprehensive electronic library of special reports covering numerous estate planning and elder law issues. We also update our blog regularly in order to provide updates on the ever changing laws in this field. Finally, our free estate planning and elder law seminars are always a go-to source for information. Basically, it is our desire that residents of Covington and all of Kentucky stay informed. Below, you will find several links to useful resources relating to Elder Law. Medicare: Medicare covers a large portion of senior medical costs, but there are very specific guidelines for eligibility. To check if you are eligible, take a look at the Medicare Eligibility Tool from www.medicare.gov. The unfortunate reality is that adults are often abused, either physically or mentally by others. The abuse is not always intentional, but it does happen. If you or a loved one is experiencing such abuse, there are resources available to help you. The Division of Fraud, Waste and Abuse/Identification and Prevention is another resource which is responsible for planning, developing, and directing agency efforts to identify and prevent fraud, waste, and abuse in the Medicaid program, and all other welfare programs administered by the Cabinet for Health and Family Services. Some Medical Transportation services are provided for non-emergency transportation. Personal Care Attendant services may be available for individuals 18 and older with functional loss of two or more limbs and who have the ability to hire and supervise an attendant. Also, individuals age 55 and older who are below 125 percent of the federal poverty level and who need training, subsidized employment and help with job placement, can receive Senior Employment services. How can a Covington elder law attorney help you? Attorneys can focus on specific areas of practice just as physicians do. In fact, there are so many different types of attorneys focusing on different legal fields that some clients are not even aware of the availability of elder law professionals. A Covington elder law attorney mainly handles legal matters relating to seniors or the aging community. This can include estate planning, retirement, nursing home, and Medicaid issues. Elder law attorneys receive training and knowledge in the relevant legal issues that seniors regularly face, which makes them better able to understand and meet the needs of their elder clients and their families. Elder law attorneys are also proficient at anticipating potential problems facing seniors. Basically, the practice of elder law requires legal advocacy, education, counseling and future planning. If you have questions regarding elder law matters, please contact the experienced attorneys at The Potter Law Firm for a consultation. You can contact us either online or by calling us at (859) 372-6655 (Florence, KY and the Covington, KY area) or at (606) 324-5516 (Ashland, KY) or for individuals in North Carolina at (704) 944-3245 (Charlotte, NC or Huntersville, NC).